This gorgeous cubic zirconia necklace set is sure to dazzle on your special day! Crystals of all sizes create an array of sparkling flowers from small (on the sides) to large (in the front). 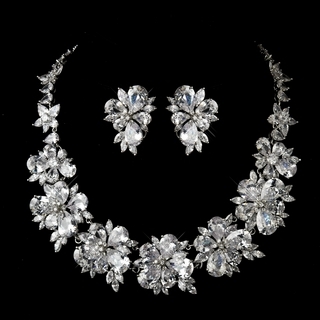 With earrings that match the larger flowers in the necklace, this extraordinary set would compliment any bridal gown beautifully!